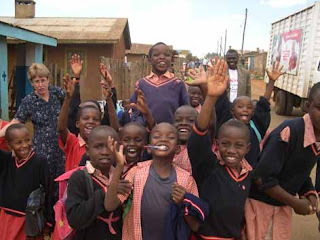 matsuli music: Details and dancing in "64"
Details and dancing in "64"
The Kenyan town of Eldoret has the unique boast that it was founded by Afrikaaners - white farmers who did not stop their journey from the British controlled Cape Colony until reaching close to Lake Victoria. The town was originally known as 64, because it was established at the 64th mile post on the wagon route from Londiani. So without further ado here are two killer sets of Congolese inspired Kenyan singles. SOY COLOMBIANO Y ME ENCANTA LA MUUSICA DE KENYA Y TANZANIA. ME GUSTARIA TENER SU MSN, PARA CHARLAR UN RATO Y CONOCER NUEVAS COSAS. Like all the best music, these took time to grow on me. They are on repeat constantly now. Gentlemen, you have truly outdone yourselves with this compilation! I've been going through all the tracks with an audio editor (I use DC 6), trying to mesh together Pts. 1 & 2 before I burn them to disk. Sometimes the producers were thoughtful enough to provide 20 secs. or so overlap between Sides 1 & 2, so I can make a seamless transition. Usually, though, I fade down the last 5 secs. or so of Pt. 1 & fade up the first 5 secs of Pt. 2, hook them together and the switch is noticeable but very quick. Anyway, I was working on Pts. 1 & 2 of "Mokili" from AS 45 and it seems like they're the same thing! Was there a mistake made in the pressing of the record, or was there perhaps a mistake made when you were digitizing or uploading the two sides? It seems a quibble since the music is so great otherwise but would it be possible to get the missing Part 2, if it exists? Great stuff. I coul listen to this kind of thing all day. ... and Mbaraka with Super Volcano popping up in the middle has just made it! gee baby, ain't you good to us! Thanks for this East African Rumba. I was wondering about musicians on Mwenge Jazz. I have read on a Wanyika discography that Simba Wanyika's original saxophonist, Luisa Elias John, went to play with Mwenge Jazz. Is he the saxo on this? Is their other stuff this good--ah that Tanzanian flavor! it appears African Serenades Vols. 41, 42, 44, 45 via sendspace are no longer available. re-post possible? thank you for your efforts. it's been quite the musical education. cheers. The serenades are a wonderful collection.unfortunately i cannot download them ! please repost them again. I am just new and i missed out on this . can you please repost it? 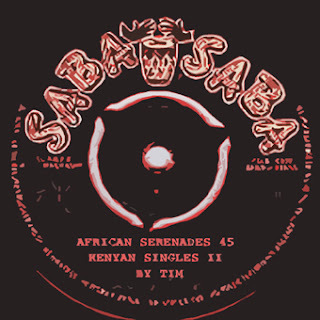 I just found out about your site but unfortunatly missed the African Serenades, wonderful sounds would you be kind enough to upload them again. another great sound I would request you to upload is shauri yako by nguashi ntimbo.these sounds bring back the 80's in true colors. 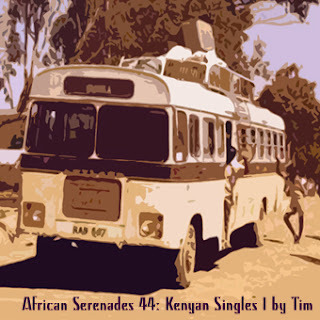 Would you please re-post the African Serendes and the other one with the 'Pamela' hit? I missed it and I would love to listen to these oldies. Would you please re-post the African Serendes PLEASE PLEASE!!! !